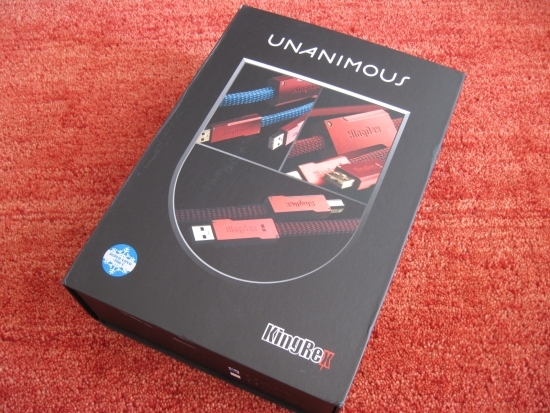 Now here’s something I don’t test every day: a USB cable with two inputs! No, the cable can’t mix two audio signals and no, it doesn’t split to two outputs. It really is meant for attaching your computer to any regular USB dac. But what is the extra input for then? Read on to find out! Christine from KingRex mailed me again with something interesting. 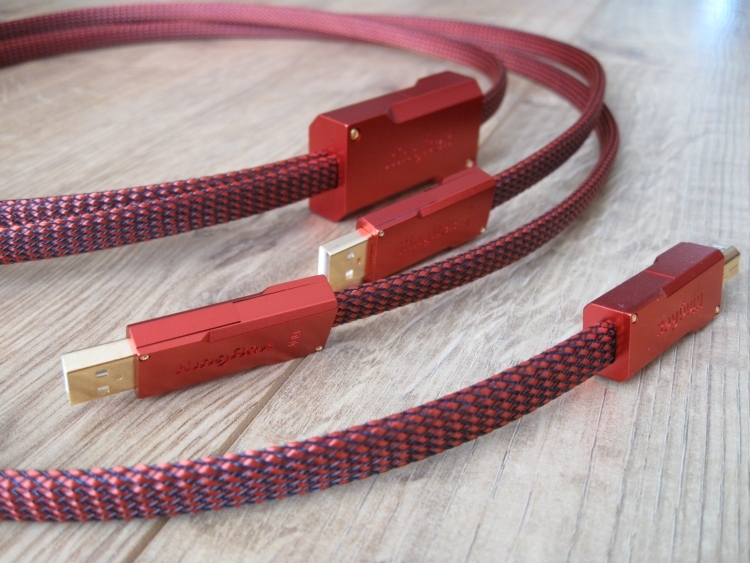 Would I be interested in reviewing their new Y-cable? “Sure I would”, I mailed back, before I even knew what I would get myself into this time. 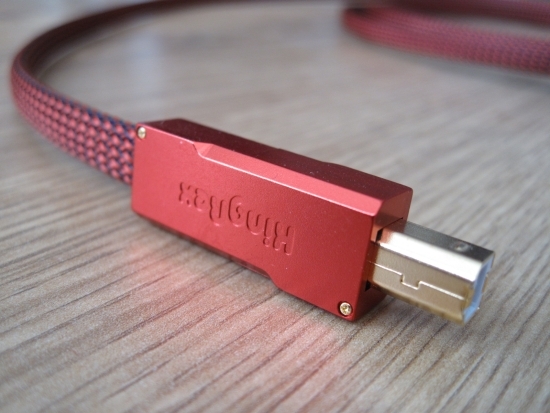 Then I did some digging on the internet and found out that the cable is supposed to be connected between a computer and a USB dac, with the remaining cable connected to a 5 volt battery power supply, such as the KingRex U-power. Test setup is with my regular Macbook Pro, connected to the KingRex UD384 with the regular (packed in the box) USB cable, then with a Wireworld Gold Starlight III+ to a Mark Levinson 360S DAC, then into the regular setup. Playback software this time was the standard iTunes (Pure Music license expired). This was a sound that I am familiar with: clean, clear and somewhat thin, lacking body and sunstance compared to using the same UD384 with a tower PC. 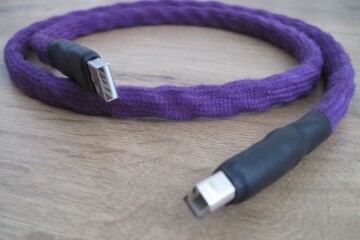 Then I swapped the regular USB cable for the KingRex, but connected both connectors to the Macbook, rendering the Y cable now a normal cable, albeit with the Mac spending two USB outputs on it. Despite what it says on the KingRex info sheet, already this made for a large difference in sound: less bright but fuller, more solid, with much more dynamic bass. Also the sound was now less synthetic and more acoustical, more believable if you will. 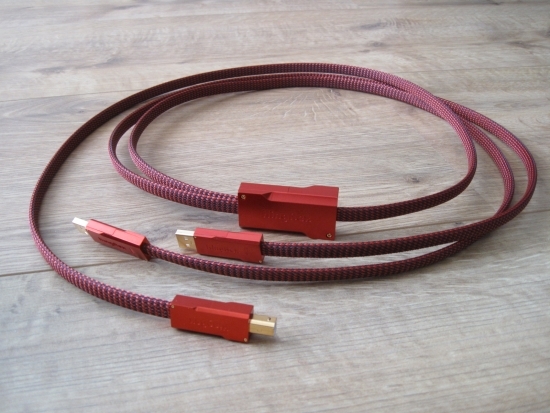 I’m already liking this cable. It seems to make up for the thinness that I associate with the Macbook. But the Y cable needs to be connected differently. As mentioned in the header, it has two lead cables: one labelled signal and the other labelled battery. 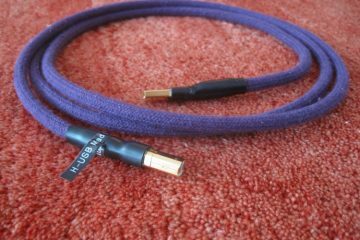 These two lead cables unite in an aluminium box and converge into one cable that goes into the USB DAC, or, as in my case, in the KingRex UD384 USB/SP/dif interface. I now connected the battery-labelled cable to the KingRex U-power battery power supply and restarted the music. Well blimey! 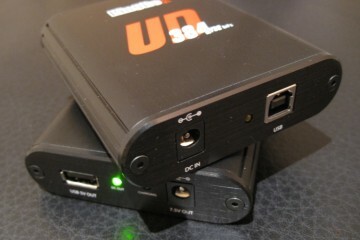 This is an even bigger difference than using the UD384 with a standard USB cable and feeding the UD384 entirely with battery power. Not only is the difference bigger, it is also a positively better result. There’s more atmosphere, soundstage becomes wider and deeper, and instruments and voices are surrounded with more air, but I hasten to add that this is not some smearing or confusion going on, far from it! In fact, low level resolution is massively improved but at the same time there’s an overall feeling of quietness. There’s a certain calmness to the sound reminiscent of when I used the U-power directly on the UD384, but with a much more interesting sound. Such was my fascination with this sound that I couldn’t bring myself to swap back and do more comparisons. The first evening I played track after track on the Mac and decided to leave the setup as it was for a bit. More testing would be done, for sure, but not now. After some days had passed I was ready for more in depth testing. Listening started in the same configuration as before, with battery power supply connected. Again I was impressed with the spaciousness and emotionality of the music. 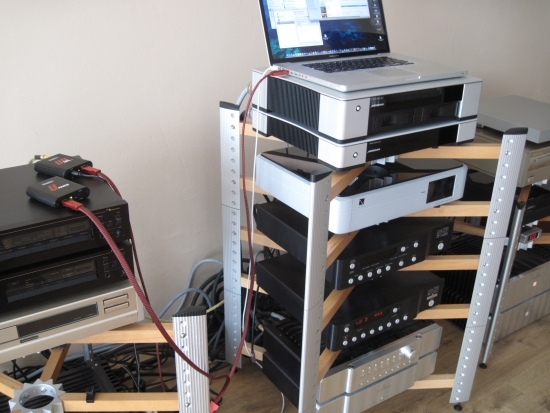 Mind you, this was right after I had demonstrated the Linn Klimax DS to the new owner. I played the same tracks, and although the Linn was more refined, had fuller colour and overall sounded harmonically more right, more like real music, the difference wasn’t really as big as you would expect given the price difference. 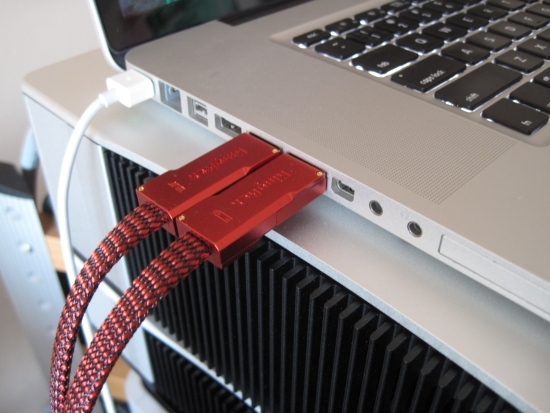 The Macbook Pro, connected to the KingRex UD384 and U-Power, using the UArt USB Y cable, then via Wireworld Gold Starlight III+ into the Mark Levinson 360S DAC simply played to a very high standard, not only tonally, but also in dimensionality and, importantly, emotionally. The frequency balance is still shifted slightly to the treble but in most systems this will actually be a pre. Then I removed the battery power supply and connected both USB inlets to the Macbook Pro. Sure enough: soundstage shrank considerably both in width and depth, and imaging became more strict, with less space and air. Also it all sounded more like computer audio, where it had sounded like real music before. 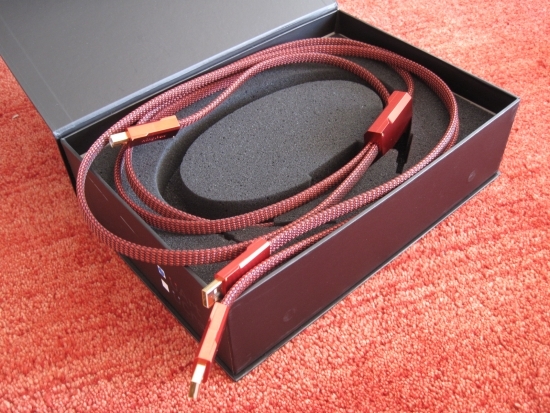 Most disconcerting is the formidable depth of imaging and room filling sound that is possible when the Y cable is used in combination with the battery power supply. This aspect all but disappears as soon as the cable is connected only to the computer. Again reconnecting and disconnecting the Battery power only proved that this really was no marketing trick. The difference really is huge. The existence of this Y-cable and associated battery power supply and appropriate DAC moves up the Macbook Pro in my personal rankings to just below the PS Audio PWD MKII, Linn Klimax DS and Meridian Sooloos MD600/MS600. A side comparison with the PS Audio PWD was very interesting because the PWD has a built-in digital lense that is very good at suppressing jitter. 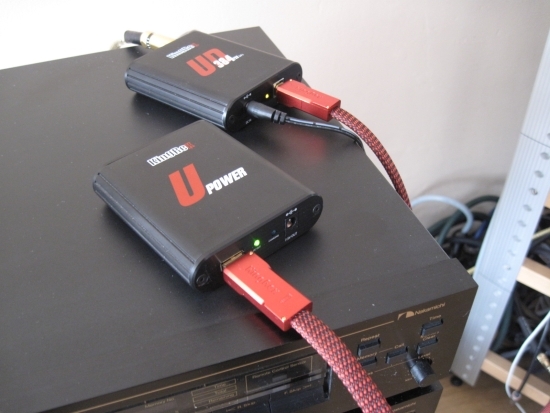 I was curious to find out if here again the Y cable would provide such a large difference when used with the U-Power. And yes, it did. Just like with the UD384 into the 360S, the sound was more spacious and airy, and more relaxed than without battery power. But in this case I wasn’t sure which rendition I liked better. 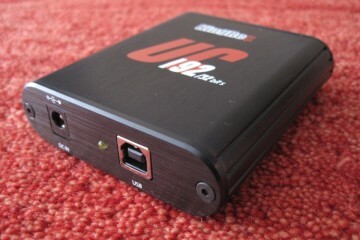 The PWD, due to its ingenious Digital Lense, also sounds very good with a standard USB connection and it has good staging and depth of image by default. The PWD has a more direct, more solid sound, with deeper and more powerful bass than the KingRex/Levinson combination. It is a very different presentation. Battery power gives the PWD a more relaxed feel with more air and finesse while the direct connection makes for a drier, but more powerful sound, with more slam in the bass and lower midrange. But there’s no denying that the Y-idea truely works! 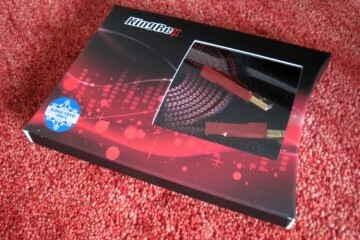 Above: The UArt cable in its luxurious box. The lid stays in place with magnets – neat! 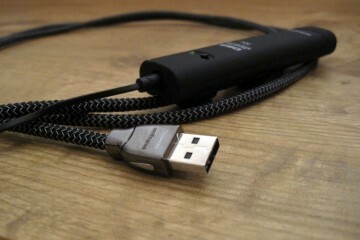 The KingRex UArt USB Y-cable is the best USB cable I have heard, even without the use of battery power. When applied that way it simply excels: the music loses its electronic signature, becomes more soothing and emotional and the sound fills the room, with imaging becoming both wider and deeper. You won’t believe your ears. Highly recommended!